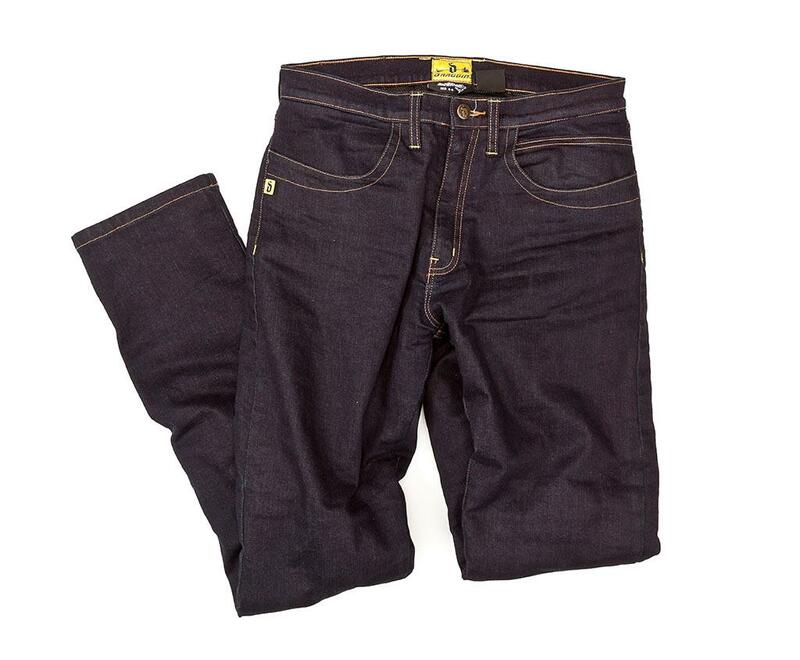 What’s good about the Draggin Twista Kevlar jeans? I’ve worn these slim-fit Kevlar jeans for commuting, MCN road tests, a 3500-mile European summer riding trip and…sitting around the office. They have a real feeling of quality and it’s obvious they’re built to withstand a get-off. Fortunately I haven’t tested that side of them…But despite their ruggedness they’re comfortable to wear on and off a bike. The Draggin’s ‘Roomoto’ lining keeps you warm on chilly days, but won’t stick to you uncomfortably when you’re riding in mid-August summer heat. They come with CE-approved knee armour, which, unlike a lot of riding jeans I’ve tried, stays in place to protect your knees when your legs are bent on a bike. I can only wear ankle-high bike boots with these jeans, due to their narrow cut, so when it rains my feet get wet, even with waterproofs over the top. Conventional boots won’t fit underneath.